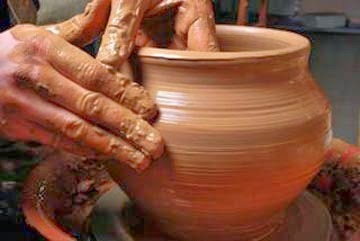 Designed for the beginning student, this course covers the basics of throwing on the potter's wheel and hand building techniques. Surface enrichment and glazing will also be covered. Bring your pottery tool kit, towel and pottery apron to first class. Pottery tool kits are available to purchase at any local art supply or here for $12. 25 lbs. of clay and firing fees are included. Ages 16 and up only. Nancy Trezza is a recently retired educator from the Northeast. She has been a successful clay artist for 20 years.